There are many salt fields in Fuzhouwan Bay near Dalian. Dainippon Saltworks started manufacturing before World WarⅡ and Fuzhouwan Saltworks (The predecessor of Dalian Saltworks) expanded the business after the war. Wudao Branch is one of them and the track of gauge is 762 mm. 6th salt fields line was abolished in the end of 2017 and there are 2 branch lines to salt fields now. 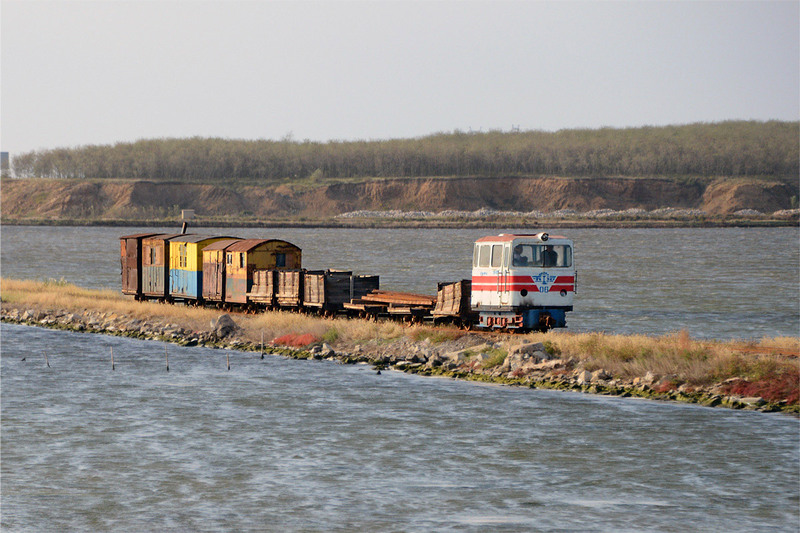 Modified small diesel locomotives are still in use.